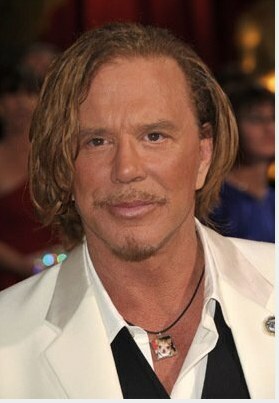 Mickey Rourke was born Phillip Andre Rourke, Jr., in Schenectady, New York in 1952. When he was 6 years old, his parents, Ann and Phillip divorced. A year later, his mother married Eugene Addis, a Miami Beach police officer, and moved to Miami Shores, Florida. After graduating from Horace Mann Junior High School, Rourke's family moved to a house located on 47th Street and Praire Avenue in Miami Beach. In 1969, Mickey attended Miami Beach Senior High School, where he played second-string first baseman on the school's baseball team under coach Skip Berkman, and acted in a school play, "The Serpent" directed by legendary "Teacher To The Stars," Jay W. Jensen. In 1971, he graduated from Miami Beach Senior High School, and after working for a short time as a bus boy at the famed Forge Restaurant on Miami Beach, Rourke moved back to New York to seek out a career in acting. Rourke's teenage years were more aimed towards sports than acting. He took up self-defense training at the Boys Club of Miami. It was there he learned boxing skills, and decided on an amateur career. At the age of 12, Rourke won his first boxing match as a 118-pound bantamweight defeating Javier Villanueva. Some of his early matches were fought as Andre Rourke. He continued his boxing training at the famed 5th Street Gym on Miami Beach, Florida; joining the Police Athletic League boxing program. In 1969, Rourke, now weighing 140lbs., sparred with former World Welterweight Champion Luis Rodriguez. Rodriguez was the number one rated middleweight boxer in the world, and was training for his match with world champion Nino Benvenuti. Rourke claims to have received a concussion in this sparring match. In 1971, at the Florida Golden Gloves, he received another concussion from a boxing match. He was told by doctors to take a year off and rest, but Rourke decided to retire from the ring in 1972. From 1964 to 1972, Rourke compiled an amateur boxing record of 20 wins, 17 by knockout and 6 defeats. He was stopped once, disqualified 3 times, and lost 2 decisions. At one point, he reportedly scored 12 consecutive first round knockouts. As an amateur, Rourke had been friendly with pro-boxer Tommy Torino. When Rourke decided to return to boxing as a professional, Torino promoted some of Rourke's fights. Rourke was trained by former pro-boxer Freddie Roach at Miami Beach's 5th Street Gym and the Outlaw Boxing Club Gym in Los Angeles. Rourke made $250 for his pro debut, but by the end of his 2nd year of boxing, he earned a million dollars. Rourke appeared on the cover of World Boxing Magazine in June 1994. He sparred with world champions James Toney, John David Jackson, and Tommy Morrison. Rourke wanted to have 16 professional fights and then fight for a world title. However, he retired after 8 bouts and never got his desired title fight. His boxing career resulted in severe facial injuries which required a number of operations to repair his damaged face. Rourke went back to acting, but worked in relative obscurity until he won a Golden Globe Award for his role as Randy "The Ram" Robinson in The Wrestler (2008). He was also nominated for Best Actor, as well, but lost.